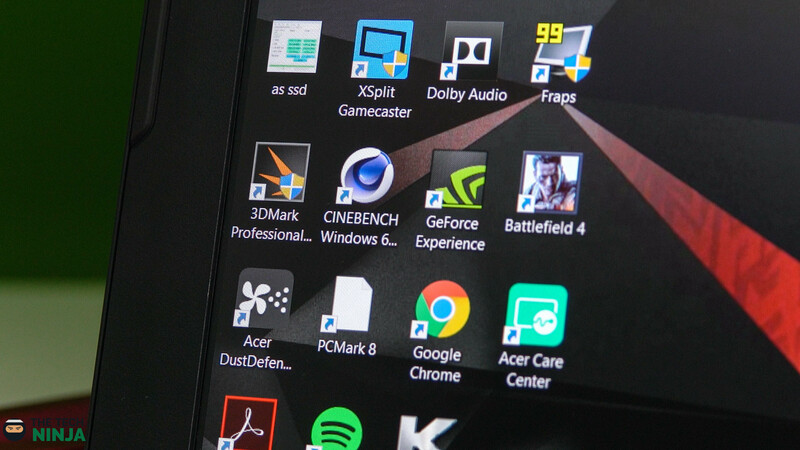 At present, many demand desktop grade performance without sacrificing portability. 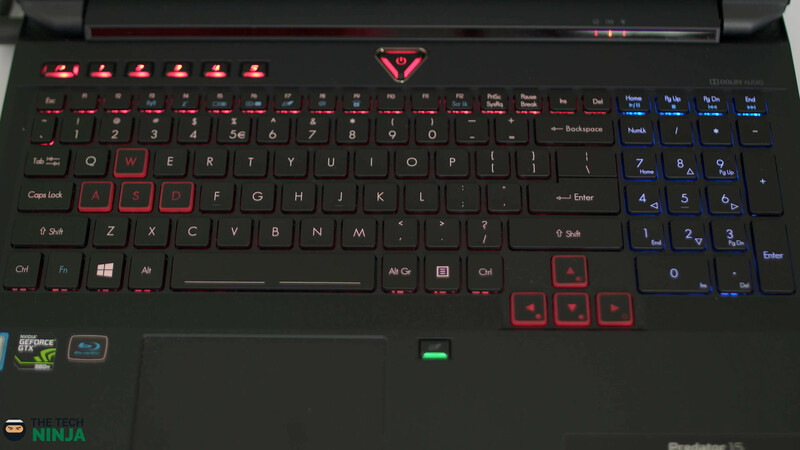 While not many gaming laptops are able to stand out in the overly saturated market, the Acer Predator 15 (model number: G9-591-74KN) manages to do so relatively well. The laptop is anything but subtle and feels very robust when in use. This definitely reflects on its weight, which is slightly on the higher side at 7.5lbs (3.4kg) with the battery installed and is not for one who is keen on portability. Composed of primarily red and black tones, the laptop looks nice and is well complemented by lighting which can be excessive for some. Under the hood, the Predator is equipped with a 6th generation Skylake i7-6700hq processor at 2.6GHz which is capable of providing up to 3.5GHz of power using a native utility program. The GPU present is the NVidia 980M with 4GB of dedicated graphics and this works well with with the 32GB DR4 Dual-Channel RAM on board, which can also be expanded up to 64GB. For storage, a 1TB 7200 SATA drive is present along with an additional 512GB PCIe SSD. 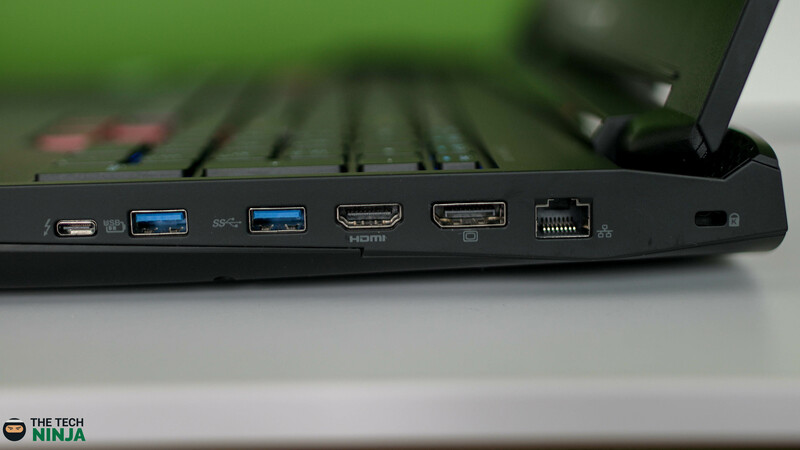 On the connectivity front, the laptop contains 4x USB 3.0 ports, 1x USB 3.1/Thunderbolt port, a HDMI and DisplayPort and a RJ-45 port for ethernet. WiFi connectivity works great with the Wireless AC Dual Band present and Bluetooth 4.1 is also available if required. All of this functionality is driven on a 15″ IPS display of 1080p resolution. The screen is slightly on the bezel heavy side but is able to open up to 140 degrees. It has a matte finish and presents great viewing angles making for a very consistent experience. Having a maximum brightness of 287 nits, it is adequate for most situations however using it outdoors may be an issue. The black levels are also solid at 0.36 nits but the slightly off perfect score does mean some grey tint is seen in darker gaming scenarios and video scenes. Even though IPS displays are known for back-light bleeding, very little was observed on the Predator adding to its merits. Controlling the laptop using the track-pad builds on the great package. The multi-touch functionality and plenty of room provide for a great experience. The pad can be disabled when typing on the keyboard for extended periods of time, and this too is pleasant. 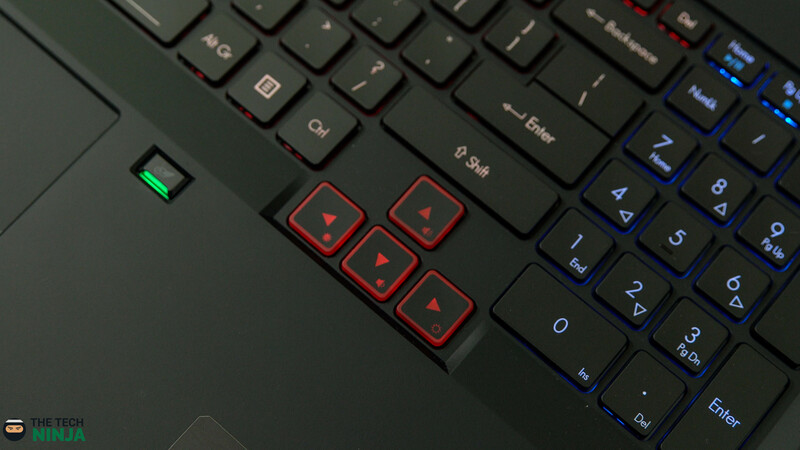 The usual hot keys to adjust volume, brightness and connectivity are found but the color on the back-lit keyboard cannot be adjusted making the mismatch between the keyboard and number pad color slightly harder to digest. Having up to three fans, the Acer Predator remains relatively noise free when in operation and temperatures never seem to peak over 80 degrees Centigrade. It is also kept dust free by the fans spinning in opposite directions allowing for air flow in two directions when in moderate use. In terms of power, the eight cell 6000mAh battery is capable of delivering up to six hours of battery life on moderate brightness with it dropping to three and a half hours when gaming. On 100% brightness, one can squeeze in three hours of battery life reiterating the fact that this is not for portable gaming. For a more visual approach, follow the link here to the playlist for recorded sample game-play. While the Acer Predator does well to bring useful features into one package, its price point at $2300 makes it a mid-range option. In the saturated market being talked about, there are other great gaming laptops which may be better than the Predator but only slightly. In terms of power, the Predator definitely has an edge but where it lacks is in terms of portability and if that does not sound like a deal-breaker, Acer’s offering is well worth considering. Previous article My Favorite Features On The HTC 10! blog? Its adequately written; I really like what youve got to say. to let you know. The design and style look wonderful though! Thanks for taking your time out to reply. The issue has been forwarded to the relevant department and will be solved accordingly.